Why spend the day working when you can hit the links and feel the soft Floridian breeze against your liver-spotted scalp? 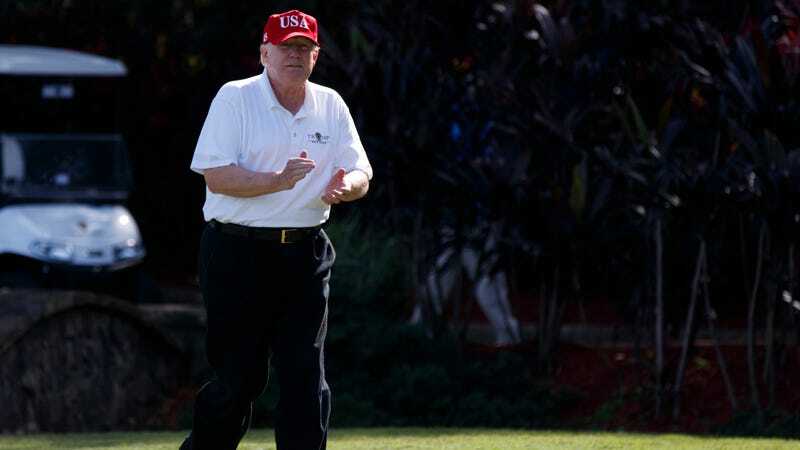 Out of 488 days that Donald Trump has been president, 104 of them have been spent at a golf course. That he owns! Per math, this is 21 percent of his time—a perfectly normal amount of time to spend on anything, really. Running the country is hard! Being the big speech man is tough. So this big presidential boy is taking a nice, relaxing day for himself on this gloomy Good Friday.